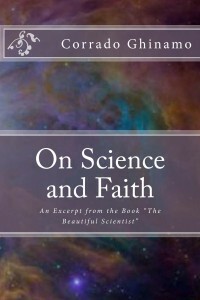 As the main book, it takes -with less pages but not with less accuracy- an interesting look at science and faith, and how the two can work together to prove there is a Creator. Corrado Ghinamo believes it is the very existence of the universe that allows people to see there is a super-entity, there is a God. He uses scientific evidence, like the Big Bang Theory, the smallest particles of the universe, the galaxies, and what he calls the Super-Force to prove just that: God does exist.